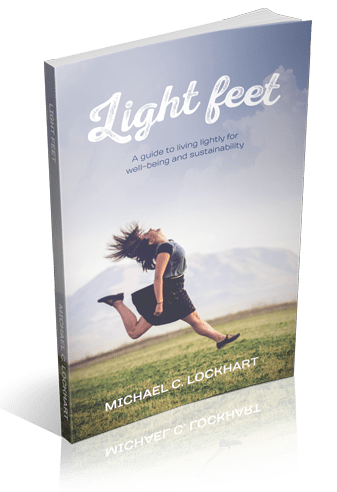 Household Ecological Footprint is essentially a measure of a household’s consumption. and this margin is growing. Household ecological footprint can be measured using a footprint calculator. The footprint is based on a number of factors and no two footprints would be exactly the same. The table below shows the average breakdown of household ecological footprints in the United Kingdom in 2010. The key areas that make up the household footprint are housing and energy; transport; food; consumer goods; private services; government services; and, capital assets. These will all vary in percentage terms and in absolute terms depending on who you are and where you are. However the percentages below give a good indication. (27%) Housing includes the physical footprint of the house as well as the impacts of supplying energy services, such as the forested land that would be required to sequester the CO2 that is emitted by heating and electricity provision. (17%) A person’s transport footprint again counts the CO2 sequestration land for any fossil fuel energy used. It also contains a share of the total land area under tarmac. (23%) The food footprint includes the land used for food production. This is both primary land used for growing cereals, etc. for human consumption, as well as pasture and land dedicated to providing animal feed. It also includes the sea area required for fishing. Finally the sizeable fossil fuel energy inputs into agriculture are included as sequestration land. (14%) This includes the fossil fuel energy used to make and transport the things we buy that are not food or services – such as electronic goods, clothes, etc. It also includes the land required to extract the minerals and to dispose of the products at the end of their useful life. (9%) The private services footprint counts the impacts of the business infrastructure we all rely on for facilities such as banking, hotels, pubs and restaurants. (7%) Includes central and local government activities, schools, universities health services and social services. (4%) Refers to the any capital investment in the infrastructure – such as factories, machinery and other buildings and structures – that isn’t already covered in the sectors above.